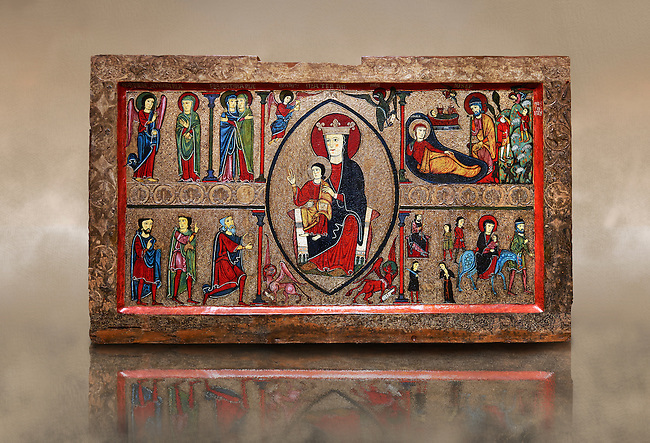 This Romanesque painted altar front is dedicated to the Nativity. At is centre is a painting of The Madonna and Child surrounded by a mandorla. Top left shows the Annunciation with the Virgin Mary, top left depicts the nativity scene, bottom left shows the Three Kings and bottom left shows The Flight to Egypt.